COLUMBUS (AP) — The family of a former Ohio State University team doctor accused by athletes of sexual misconduct says it is “shocked and saddened” by the allegations and is cooperating with the school’s independent investigation. The Columbus Dispatch in a story published online Saturday said the statement was emailed by Scott Strauss. He’s the son of the late Dr. Richard Strauss, who killed himself in 2005 at age 67. The statement said Strauss’ family learned from news reports about the allegations that athletes were fondled by Strauss during medical examinations. The allegations date back to the 1970s. Scott Strauss didn’t return messages Saturday or those previously left with him by The Associated Press. In interviews with The Associated Press in recent weeks, seven former athletes and a former nursing student shared detailed allegations of sexual misconduct dating back to the 1970s against the doctor who is only now under investigation. The eight men, including three who didn’t want their names made public, said they want to see anyone who ignored concerns about Strauss held accountable and hope to ensure something similar doesn’t happen to others. They described how Strauss fondled them during medical exams and ogled naked young men, sometimes showering among athletes multiple times a day for no apparent reason or perching himself on a stool to stare. 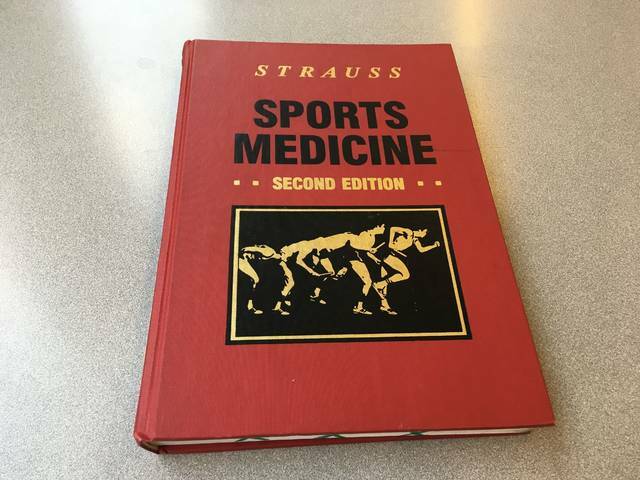 Some said Strauss groped them barehanded during physicals, had them drop their pants even while examining them for a cough or heartburn, and badgered students to go home with him. Two of the athletes who spoke to the AP said Strauss wasn’t stopped even after they complained — one to a coach and another to a school physician.